Last night in muggy DC, I tasted two Pinots, both from Oregon. One, a delicious ripe & lively Pinot Gris from King Estate and the other, a savory yet delicate Pinot Noir from Eyrie Vineyards. 2007 King Estate Pinot Gris– showed very ripe fruit aromas and flavors, including peach, kiwi and other such tropical fruits. Bordered on being slightly off-dry, but the zippy acidity kept it crisp and lively and balanced that ripe fruit perfectly. A delightful aperitif wine or with a chicken or pasta dish. We enjoyed it with an arugula salad with cherries & procuitto. A definite keeper for the rest of the summer. King Estate is a great place to visit, too, if you ever get the chance. Really beautiful winery! Second wine – 2006 Eyrie Estate Pinot Noir– Always a fan of Eyrie, this wine was a huge disappointment when first opened. I poured the wine into a decanter and put a bit in my glass to taste. 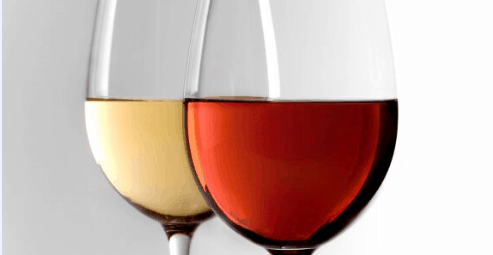 The odor was terrible – acid reflux is the best way to put it, and while I thought it may be reductive, it was unlike any reduced wine I’d had before. I changed glassware and re-swirled, only to find the same odor. The palate seemed lovely, but I could not move past the acrid smell. Luckily, my husband had more patience. As I moved on to a bottle of Syrah, he continued to swirl it around in the decanter letting more and more air into the wine. About 45 minutes after my first sip, I was given another glass. Thank goodness I took it! The odor blew off and the savory, delicate aromas that replaced it delighted my senses! Cherry, red and wild berry aromas, with a touch of spice. The palate had a good acidic backbone, with bright red fruits, some spice and a touch of meatiness to it that gave the wine the “savory” character I like. Wonderful with grilled pork (or what was left of it after the Syrah). Good length and excellent structure. Good thing we’ve got a few more of this wine left as now that I know the drill, I’ll be sure to open it well in advance and decant. I also think it will get better with a few more years in bottle. I highly recommend this wine, but give it time – both in bottle, and in the glass. David Lett had an idea. He believed the the soils and climate of the Willamette Valley of Oregon were well suited to make exceptional Pinot Noir, Pinot Gris and other Pinot varieties. In the mid-1960s, he planted his first vines in an old fruit orchard just outside Portland. His theory eventually panned out and people took notice when his 1975 Eyrie Pinot Noir showed well in an international competition that included the top Burgundian Pinot Noirs of the time. Oregon was on the wine map, and Eyrie’s performance in the competition even brought Burgundian winemaker Joseph Drouhin to Oregon to check out the scene. Seeing potential in the land and the wine, Drouhin founded his own Oregon winery, Domaine Drouhin, which resides near Lett’s Eyrie Vineyards. Eyrie Vineyards produces wines that have character and a sense of place. You will taste that in both the Pinot Noir and Pinot Gris –they truly represent the Oregon terroir. Eyrie lost its founder in October 2008. Lett earned the nickname, “Papa Pinot,” as his pioneering spirit opened up the doors for the Oregon Wine Industry. The winery is now run by his son, Jason.